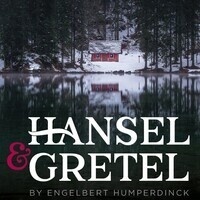 Once upon a time a composer and his sister wrote a fairy tale opera based on a story by the brothers Grimm. With a bombastic score, two mischievous children and one awfully wicked witch, Hansel and Gretel has been enchanting children and adults alike for over 100 years. Sung in English with grand melodies and whimsical staging, DePaul Opera Theatre’s production takes you along with Hansel and Gretel, through the shadowy forest to a house made entirely of candy. All students, regardless of their educational institution, can receive one free ticket with a valid student ID when presented 60 minutes before curtain, in person at the theatre.